The Beasley Fire Department operates on an entirely volunteer basis, 24 hours a day, 365 days a year. We serve an area of approximately 30 square kilometres, which includes some 500 dwellings, 1,200 people, a tricky section of highway along the Beasley Bluffs and an 8 km stretch of the Kootenay River. We are funded through taxation by the Regional District of Central Kootenay (RDCK). 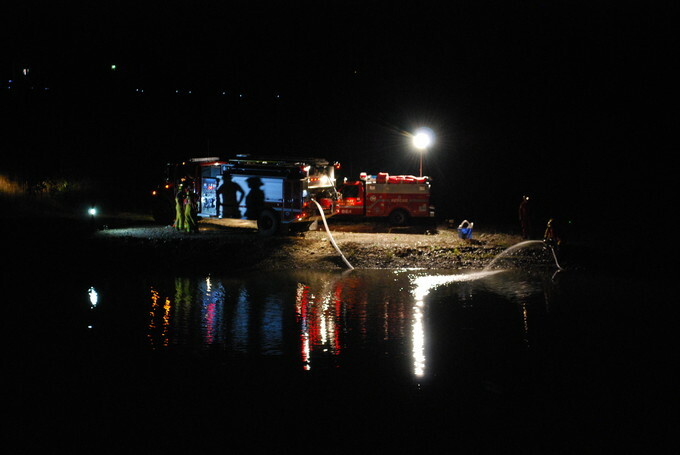 We also provide specialized rescues, such as rope and water rescue. Funding for these activities is supplied through the Beasley Rescue Society.